Drake just dropped the new video for his song called “Worst Behavior”. Its also topped off with a skit featuring Topszn and Juicy J right in the middle of the video. As a night owl myself I have been throught it all trying to find good food late at night. One time I even tried out the hot dogs at the gas station I was so desperate. They were rubbery and the bread was hard. I'll never do that again. Does this sound like something you have been through too? 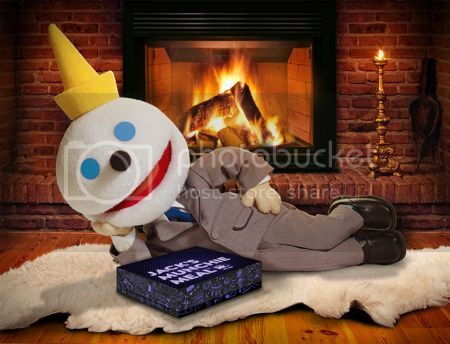 If so I hope you're ready for some good news because Jack in the Box is now offering a special meals for people like you and me, who love to snack at all hours of the night! 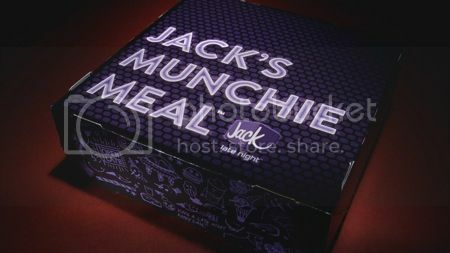 Jacks Munchie Meals is offered between the hours of 9pm and 5am so it's perfect for us! For only $6 you get lots of great food included in every box is a 20 oz drink of your choice, two tacos, and halfies fries (that's half curly half traditional fries! YUM!). But that's not all, you also get one of these 4 choices: Loaded Chicken Nuggets, The Brunch Burger, The Stacked Grilled Cheeseburger or an Exploding Cheesy Chicken Sandwich. All the options sound sooo good but I think the Brunch burger sounds the most up my alley. They've added a fried egg to an already classic burger and topped it with a hashbrown. I need that in my life! Doesn't that sound amazing? I'm wondering what would you try first? Let me know in the comments! We were just notifed D’Angelo has been admitted to Mt. Sinai Hospital in New York City for an acute pancreatitis. Which is something minor so we expect a full recovery unless its really about something different. We all know D’Angelo’s past so we definitely send our prayers to h just in case. This is a Sponsored post written by me on behalf of Stacy Adams for SocialSpark. All opinions are 100% mine. As a modern man you know how important shoes are to your overall style. Today we would like to introduce you to the Armstrong from Stacy Adams. We'll cover what makes this shoe worth buying and wrap up our style profile with how we would wear our favorite pick. This casual yet sophisticated shoes features classic details and stitching with a light weight sole. Perfect for many events such as perusing art galleries,enjoying fine cocktails, a relaxed get together with friends. With the durable tred on the bottom of the Armstrong you can even take them on a romantic after dinner stroll with your sweetie rain or shine without fear of slipping or sore feet. To put it simply the Armstrong is the kind of shoe you wear when you're having a great time. even added some brightness to sole of the Armstrong.There are many different color ways in the Armstrong's repitoire, which include timeless leather colors like black, cognac and brown as well as brown and blue suede. We chose to style our personal favorite the blue suede below. We paired them with khaki pants, a T-shirt with a purple snake skin print and blue and purple plaid button down to tie the whole look together. Let us know what your favorite Armstrong color way is and how you would style it in the comments below and when youre done be sure to Like Stacy Adams on Facebook and Follow Stacy Adams on Twitter to stay in the know on all that they have to offer.